Trivia time! Some good old fashioned trivia is fun from time to time and trivia about Hawaii is no exception. In fact, there are a ton of fascinating details about Hawaii that are too fun not to share. Some you may know while you may find others to be pretty intriguing. While there are many to choose from, check out these 10 fun facts about Hawaii worth sharing! This may not be news to you, but Hawaii became the 50th state of the U.S. in 1959. Perhaps last, but definitely not least! 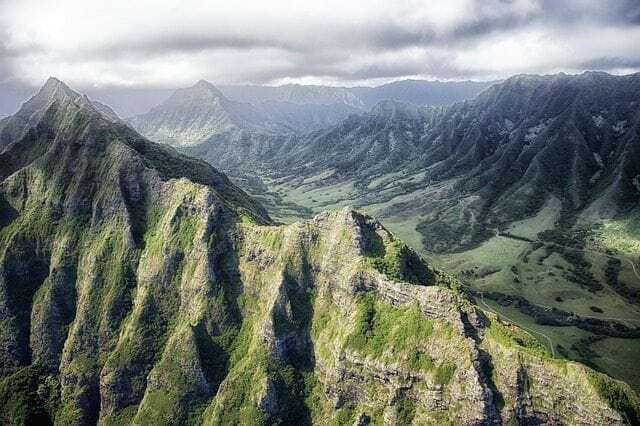 Looking from east to west, Hawaii is the widest state in the nation. Who would have thought? That means there is so much to explore around here. Hawaii is the only state that grows coffee. Come have a cup of Joe with us. The Hawaiian Islands are made up of the world’s largest mountain range. Maybe hard to tell because so much is under the water, but we’re sitting on the tops of the biggest mountains protruding out of the ocean. Hawaii is made up of eight main islands: Niihau, Kauai, Oahu, Maui, Molokai, Lanai, Kahoolawe and the Big Island of Hawaii. Which islands have you visited? The Big Island is just that: big! With 4,038 square miles, it is about twice the size of all other islands combined. Hawaii is in a very remote location. The population is one of the most isolated in the world and is located about 2,400 miles from California. With neighbors few and far between out here, borrowing a cup of sugar can isn’t too likely. The Big Island is home to the world’s most active and largest volcano. Kilauea is known for providing a spectacular show. The Big Island is said to be the first island discovered in our chain of islands and is 800,000 years young. Though the biggest, the Big Island is the youngest sibling in the chain. The Big Island holds the world’s biggest telescope and has more observatories than anywhere else in the world. So stargazing is at the world’s best here!